My girl Stacy is so sweet and gave me 3 really cool brand-new pairs of shades just in time for Spring! 1 pair is by Diane Von Furstenburg, the second is by Fendi, and the third is by Emilio Pucci. I love them all for different reasons and I must say, Stacy has exquisite taste because they all fit and look great. 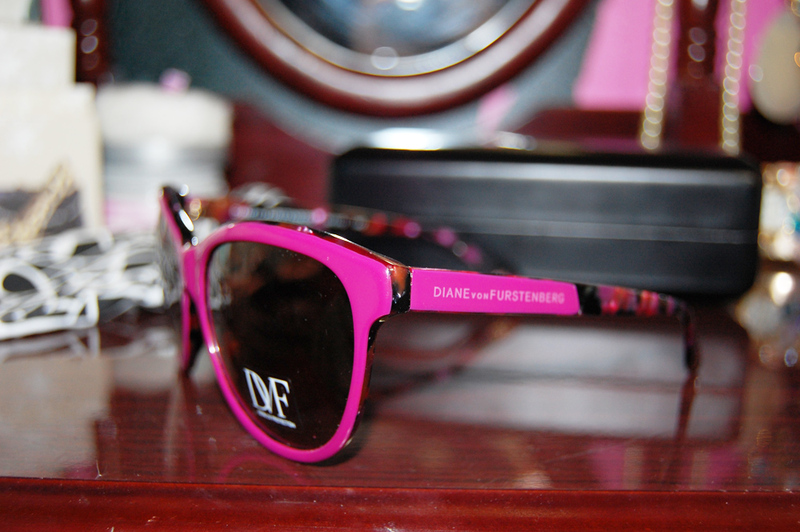 These pink DVF shades are so awesome. I love the hot pink color and the floral-looking patterns on the edges. The box and dust bag is great too. 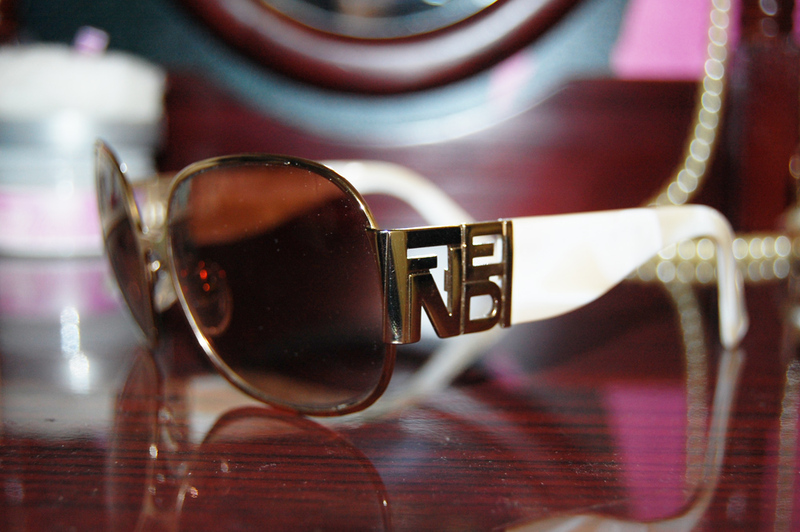 I love these Fendi shades because they are classic. You can’t tell in this pic but the ear handles of the shades have an almost seashell texture next to the Fendi Label. I normally hate labels but these passed under my radar. 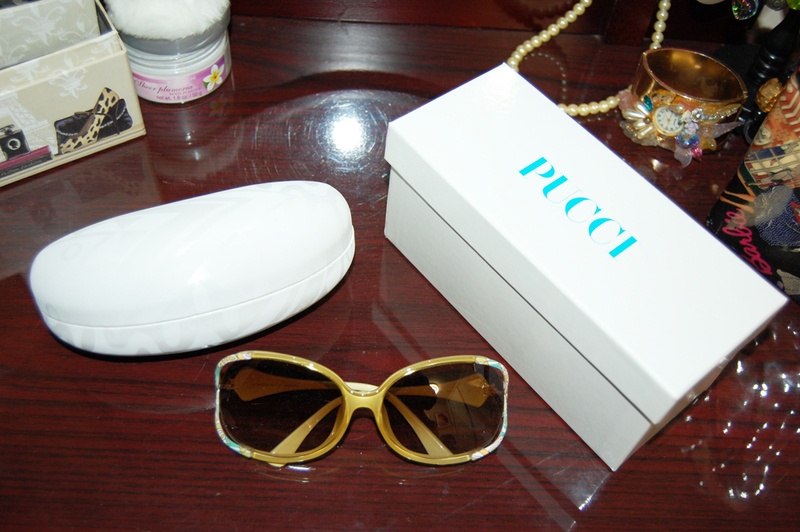 Last but most certainly not least, these are my new Pucci shades. 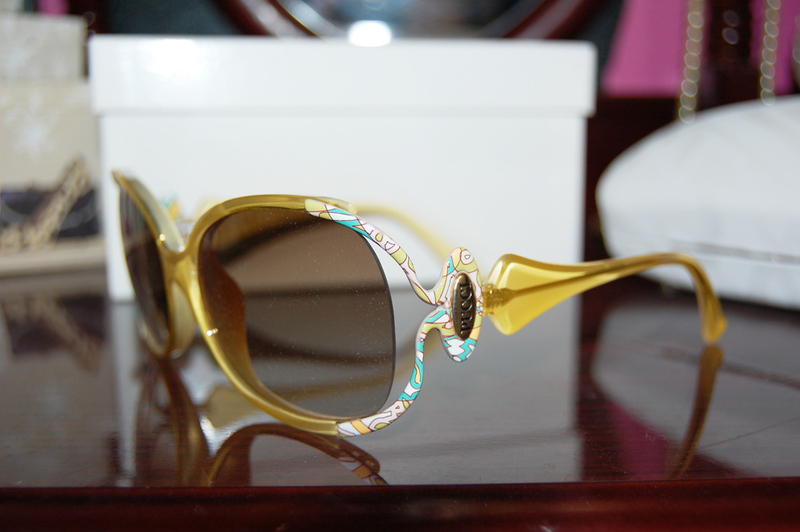 I LOVE the color and the Pucci print on the edges of these frames. These look darling on! ← Eighteenth NYC: 6 ways you can wear this skirt. Those Pucci’s are off the chain!!! Two thumbs up!!!! Love, love, loooove the post. 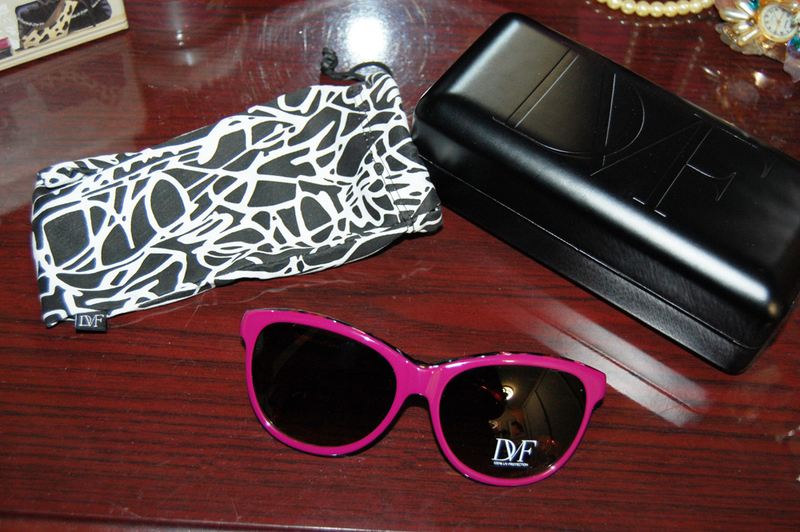 They all looked great on you in person but my faves were the DVF’S. Enjoy them pretty girl <3. Another shopping date in the future is a must!